Find the best hotels, restaurants, beaches, trails, clubs and everything else in Laguna Beach, California! 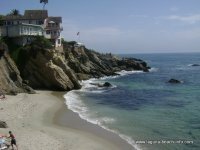 These are some of my favorite Laguna Beach best places to stay, to eat, to play, and to just relax! Laguna Beach is packed with hotels, motels, bed and breakfasts- how do you begin any discussion about Laguna Beach BEST Hotels? Simply start with The Montage Resort. 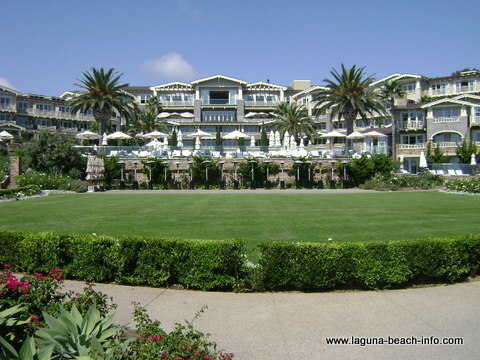 The Montage is without a doubt the most luxurious and incredible resort in Laguna Beach. Built onto the cliff overlooking Treasure Island Park and Beach, you are guaranteed to have incredible views. But what makes the difference is the incredible personal service that the Montage staff provides. You are more than a guest here, when you arrive- you are greeted as family and given a personal tour of the property. Including stunning ocean views from the balcony of every room, three pools, three incredible restaurants, and a full service spa- you will not be disappointed when you visit the BEST Laguna Beach hotel! Find out more about The Montage Resort. Explore more Laguna Beach Hotels. Obviously- there are some phenomenal restaurants in town including; The Beach House, Claes, Watermarc, etc. When discussing Laguna Beach best restaurants, we’ve got to consider several factors including: the food, the service, the price, the experience, etc. When factoring these criteria- my pick for the Laguna Beach Best Restaurant is Studio at the Montage. If you are looking for a truly incredible dining experience, visit chef Craig Strong at The Studio! I must also give an honorable mention to one of the lesser touted restaurants, and in spite of not competing in the same class as Studio, Aegean Cafe may not be the most expensive or the most upscale, but when everything else is added-up- you’re going to have great food, enjoy a great time with the live music and bellydancers, and the service is good. Find out more about Aegean Cafe. Discover other Laguna Beach Restaurants. If you're looking for the best spot in Laguna Beach to watch the sunset, head over to the Rooftop Bar at La Casa del Camino, and enjoy a few cocktails while you admire the best view of the panoramic Laguna Beach coastline. From your perch high above Coast Highway, you'll appreciate the best view of the Laguna Beach sunset in town! Laguna Beach offers a seven mile stretch of amazing and unique beaches, so it’s hard to pick just one! The Laguna Beach BEST beach would have to have great rock formations, abundant marine life for tidepooling, snorkeling, and diving, and plenty of space to spread out and absorb the sun for those who love tanning. My personal favorite BEST beach in Laguna Beach is Woods Cove. The moment you descend the steps toward this beach, you’ll understand why! Find other great beaches in Laguna Beach! The "Best" of Laguna Beach? If YOU have a hotel, restaurant, view, or suggestion that you think is the BEST in Laguna Beach, Share It! Return from Laguna Beach Best to the Laguna Beach Info Home Page.